Pure Cannbalm is a high-quality Cannabis-based product with a formulated infusion of anti-oxidant rich, immunity enhancing, non-mutagenic bioflavonoids. 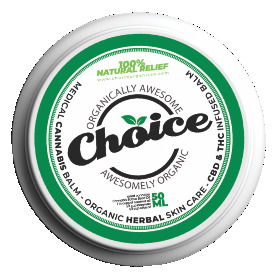 Canna Balm is safe to use on most skin types: face, body, lips and hair. This medicinal Balm is commonly used for the treatment of Arthritis, Sun Spots, Inflammation, Pain and Skin Cancer. Each jar contains: 7-10 grams of Cannabis Sativa extract in Coconut Oil, Beeswax and Olive Oil.